The new Cricut Expression 2 & Cricut Mini have no lip on them above the blade holder which means there is NO blocking the height of pens you can use in the machine! So Chomas Creations now carries an adjustable pen holder and adjustable marker holder to fit in the Expression 2 & Cricut Mini to use with a wide variety of pens and markers that are easy to find anywhere! And as always, they are Made in the USA! You can also use the Chomas Creations adjustable holders with any other Cricut machine with small pens, pencils, or markers (must be short enough to fit under the lip above the blade on your machine) as well. The Chomas Creations adjustable pen holder can use any gel pen, ball point pen, or glue pen in your machine to draw instead of cut your images. The pen holder is great for very fine details! The Chomas Creations adjustable pen holder fits into your Cricut Expression and with a popcycle stick you can adjust your height. The adjustable screw is long enough that it is easy to grab! 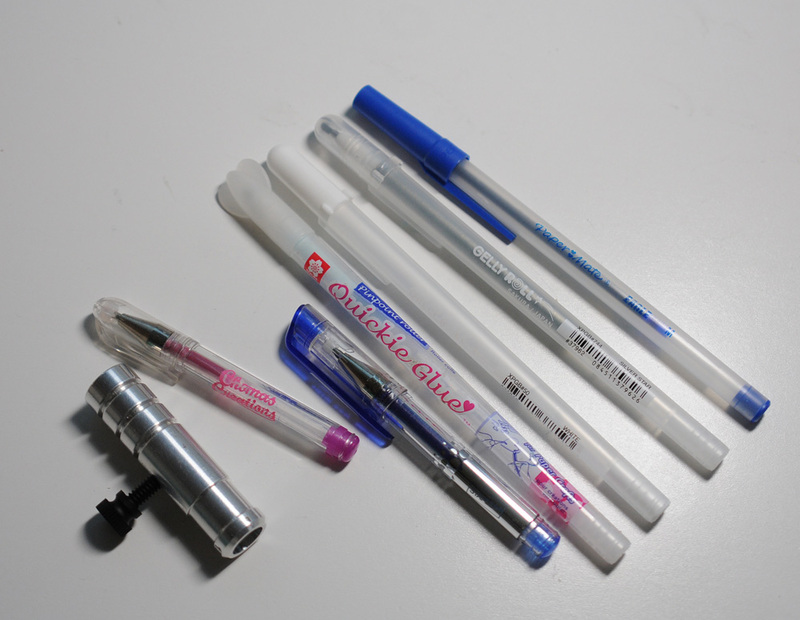 Here are just a few of the things I found that could fit in the Chomas Creations adjustable pen holder, notice the WHITE gel pen and glue pen! And of course they still work with the 20 colors of gel pens Chomas Creations offers in glitter and metallic. 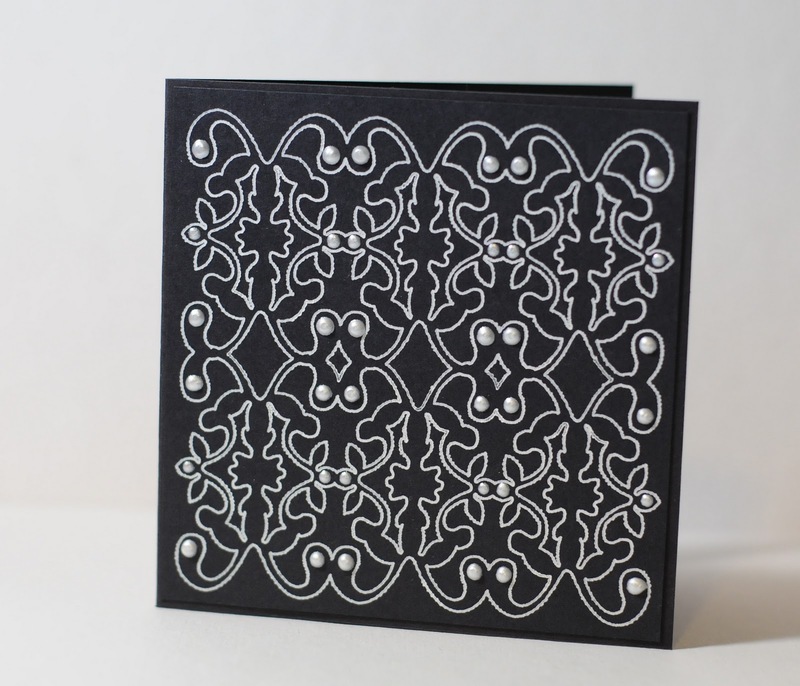 Here is a card that I used a Chomas Creations adjustable pen holder and white gel pen on. 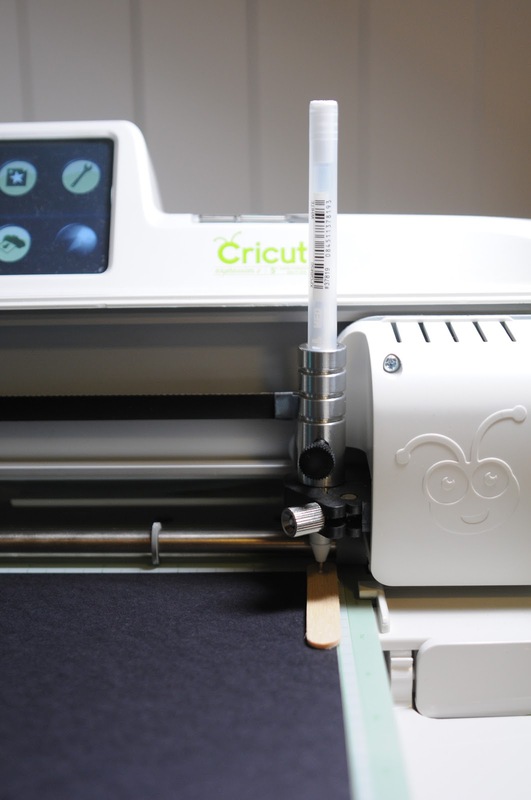 The all NEW Chomas Cerations adjustable marker holder for the Cricut Expression 2 can use any marker in your machine to draw instead of cut your images. The pen holder is great for very fine details! Here are just a few things that I found that fit in the Chomas Creations adjustable marker holder, I'm sure there are many more! Here is a video with the Expression 2 in action with the Chomas Creations adjustable pen holder and a white gel pen! These new holders are great!! Cant wait to get them and use on my E2. And thanks so much for showing the popsicle stick - I've been using a post it note which is kind of a pain!! I'm on the fence between getting the Expression or Expression 2. I've been reading reviews and watching tutorials to see which is the most user friendly and has the least amount of "bugs". This pen holder was like a "wow" moment to me and I was wondering if this is only capable on the Expression 2? Also, any help please with insights as to which machine to get would be greatly appreciated! Thank you! Hi Grace! There is a lip over the blade holder in all the Cricut machines except the Expression 2 and the CRicut Mini. So you would be able to use the adjustable holders but they would have to be with pens or markers shorter then 3 1/2 inches long. I do like the Expression 2 a bit more because of the ability to use any pen or marker I want to use! That is the main difference. Mine does cut better and seems to be less jerky then my Expression. I do offer a mini gel pen holder and mini Sharpie holder as well that fit in the entire Cricut line, as well as an embossing kit and engraving tip. I hope this helps you! So, who do I order this holder from? Yes Carina! I can deliver outside the US. Shoot me an email and I can give you a price. 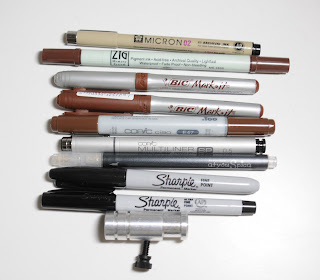 I just bought your marker holder to address my wedding invitations. I have a cameo 2. Any helpful hints?? Thank you for great products! Will this work with the Cricut Explore One?